After uncovering Harrow County’s twisted history and her own bizarre connection to the populace, Emmy forges a new and profound connection to the land and its creatures—but a familiar and sinister presence lurks just over the county lines . 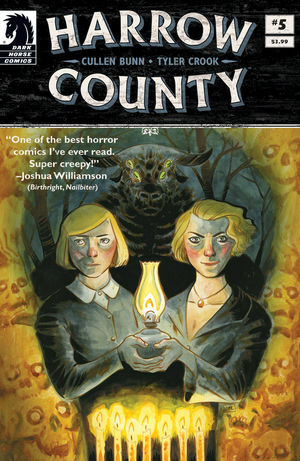 . .
Emmy feels alone in Harrow County, though life has eased for her. She wonders if she’ll ever be free as the one beast haunting the graveyard that had been left and forgotten by the witch Hester. Worse, one of the townsfolk approaches her about doing harm to a man he thinks is trying to woo his wife from him, but Emmy says no. That she does no harm to anyone. Makes one wonder as he watches her with narrow eyes, what he will do in a future issue. There is even a true tale written by Ma’at Crook of when he once worked at a movie theater, The Tower (another owned by same owner, Temecula, was nearby) haunted by El Guapo. He began the job not believing in ghosts, but soon experienced paranormal activity. At first, he could explain them away. But the activity grew worse, where he could not explain them away. I won’t go on to say what happened, you have to read it. 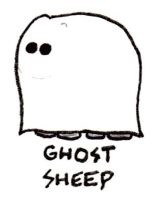 But it was refreshing as someone who has written nonfiction ghost books herself, to read something like this in a horror comic about ghosts and witches. 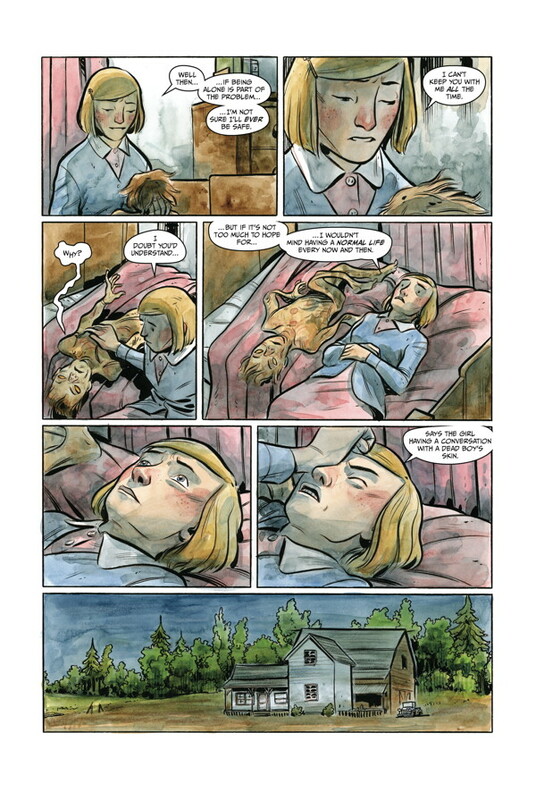 Another refreshing thing was a tale of Harrow County, “The Bat House,” written and drawn by Tyler Crook, and colored by Ma’at Crook. This talks about a house with many bats in its attic. Children would dare each other to see how close they could come to that attic, with bat dropping covering the walls and a terrible stench. One boy was said to have taken the dare. Was this the boy skin that talks to Emmy? Makes one wonder. Dark and eerie, Harrow County #5, is darkly reminisce of true unsettling tales I used to read, like novels like The Haunting of Hill House by Shirley Jackson, and old horror comics from the ‘60s. I give Harrow County #5 five sheep haints.